The top of the spine and the bottom of the spine serve different purposes, and both regions can be problem areas when something in the vertebrae goes awry. 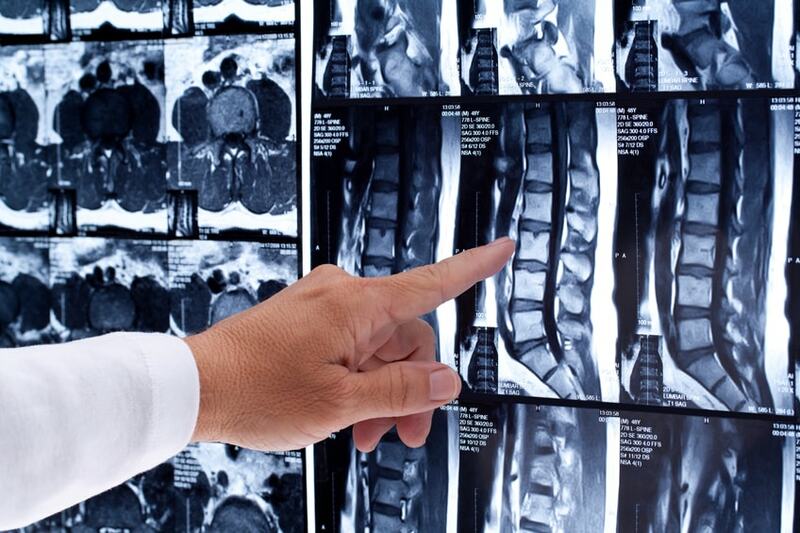 While our orthopaedic professionals are experts in the differences between the cervical and the lumbar regions of the spine, Hampton Roads Orthopaedics Spine & Sports Medicine wants our patients to be confident in their understanding of spinal regions and the conditions that can occur. What is the cervical region of the spine? The cervical spine consists of seven neck vertebrae, which are small, support the head, and are flexible to allow for much head movement. What is the lumbar region of the spine? The lumbar spine consists of five or six lower back vertebrae, which are larger, support upper body weight, and allow your torso to bend and twist. Between the cervical and lumbar region lies the thoracic spine, which is more rigid and not as likely to cause spinal problems due to degeneration. Herniated Disc. The inner core of a cervical disc can bulge out and surround the disc, causing neck and back pain that can radiate out. Cervical Stenosis. Usually caused by degeneration, this condition comes from the narrowing of the spinal canal. It can create neck pain, shoulder pain, and pain in the back of the head. Spondylolisthesis. This happens when a vertebra slips forward. It causes the vertebral canal to narrow and produces deformity in the spine. It often results in neck pain, shoulder pain, or pain in the back of the head. Neck pain can be, well, a pain in the neck! Pain relievers, physical therapy, and neck traction are often recommended by doctors to help relieve neck pain. Epidural injections can be used on cases of nerve compression. In severe cases, surgery may be necessary. In mild cases, home remedies, such as applying cold and heat, stretching, and gentle movement, can be effective. Muscle Problems. If your lower back hurts, you may be suffering from muscle strain. This can be quite painful, but usually heals quickly. Lumbar Degenerative Disc Disease. Wear and tear causes the spinal discs to degenerate, creating pain in the lower back. Lumbar Herniated Disc. Some of the inner material in the disc leaks to the outside and can aggravate nerves, causing back pain, which could extend down the leg. To treat lower back pain, a doctor might use an epidural steroid injection, a muscle relaxant, painkillers, back braces, physical therapy, or surgery. Self-care for milder cases includes the application of cold and heat, resting briefly from strenuous activity, and avoiding positions that aggravate the pain. If you are experiencing neck or lower back pain, and would like to know more about what is causing the pain, please contact Hampton Roads Orthopaedics Spine & Sports Medicine. Our experienced orthopaedic physicians are ready to help!